The Ford Motor Co. will offer auto stop-start technology on 70% of its North American vehicles by 2017, the automaker has announced. 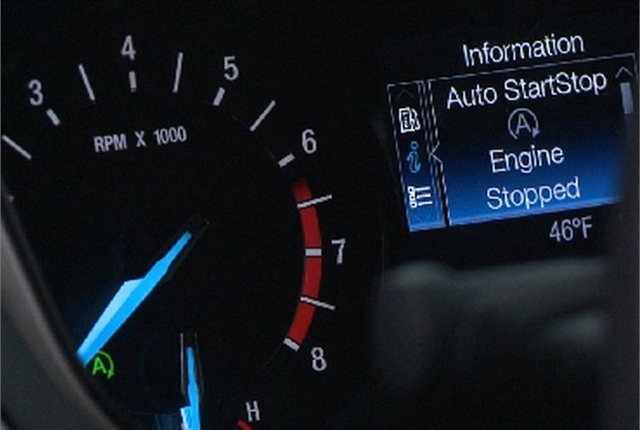 Stop-start technology turns off a vehicle's engine when it stops while an advanced battery powers vehicle accessories and systems in place of the engine. The engine restarts when the driver releases the brake pedal. BMW, Volvo, and other luxury brands have incorporating it into their vehicles. Ford touted the feature on its next-gen Edge Concept mid-size SUV at the 2013 Los Angeles Auto Show. Adding stop-start improves fuel economy by roughly 3.5% in congested driving, according to Ford. The expansion of auto stop-start comes with the arrival of the 2014 Ford Fiesta subcompact car, which achieved a fuel-economy rating of 45 mpg highway. With its 1.0L 3-cylinder turbocharged engine, the Fiesta is considered the most fuel-efficient non-hybrid or diesel on the market. Ford is offering the feature in Fiesta models sold in Europe. Ford is also researching dynamic cruise control, which predicts road conditions to optimize fuel economy.